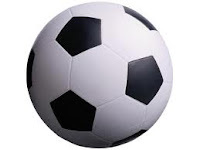 Heathlands' Hub: Try Local Football!! I play football for Marks Tey and we need some new members. We train on Saturdays between 09.45 to 11.00 and we play matches on Sundays (time varies.) I play for the under 11s though the only other age groups are Under 6s between 5 and 6 year olds (Year 1s) and a Under 10s between 9 and 10 year olds (year 5s). My age group is for year 6's and we need 4 or 5 more players. At training we learn all sorts of things from dribbling to keepie uppies. We need another goalkeeper and a few more outfield players. It takes 1 week to get singed on and you get the kit from the club. For more information talk to me.